90% of our customers are locally referred and recommended! Why Choose Trevor Soma Transportation? 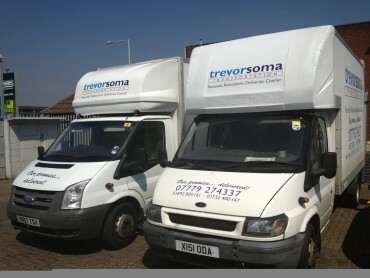 On the day of the move, Trevor's staff were very polite, friendly and efficient. They did not stop until it was all done, a mere three and a half hours later. Everything was put where it was supposed to go and there was not a single scratch on anything. 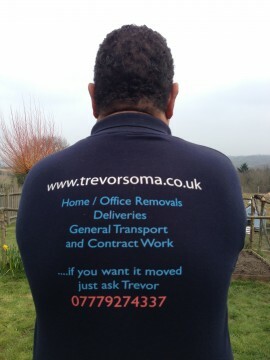 It is rare that I give any company such a glowing reference but Trevor was outstanding on the day I moved. I could not have wished for more and it is the best money I have ever spent - not that he even charged very much. 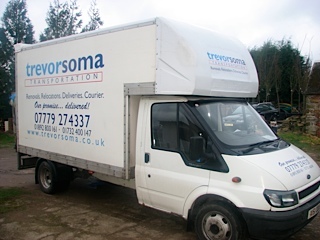 We used trevorsoma transportations for three moves in as many months. They were incredibly efficient, very friendly and competitively-priced. Trevor and his colleagues made the whole experience less stressful, and at times good fun. We would happily recommend them to anyone. The team we used to move the contents of our London home to Sevenoaks were prompt, efficient and provided an excellent service. Our move took less time than expected due to a swift and well managed process. We were especially pleased with the competitive price. The system of charging per van, per hour is an excellent one: clear and simple with no catches Trevor's team were efficient, hard-working and good-humored. They took great care with our belongings and even reminded us at one point that we were paying them per hour so we shouldn't leave them standing around doing nothing. I have to say, the service you and your employees provided, at such short notice was first class in every manner, from punctuality, professionalism to politeness. I would have no reservation whatsoever, in recommending your company to anyone. Many thanks once again. 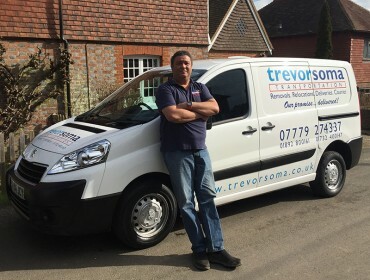 Trevor Soma can also recommend a local plumber, painter, decorator, plasterer, electrician or gardener. Thus guaranteeing a reliable, honest local tradesman. If you're thinking of putting your home/office contents into storage we will happily come round and advise on size of room, amount of packaging etc. at no cost. The tip run (please note that this is subject to Council costs plus our hourly rate) that you don't have time to do. As a privately owned business we are flexible with our times and dates. So will always endeavour to accommodate your needs, even if this is outside normal Monday to Friday, 9 to 5.